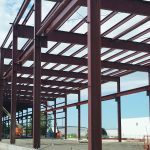 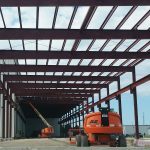 Pre- Engineered Building Addition Progress – LANCA Contracting Ltd. 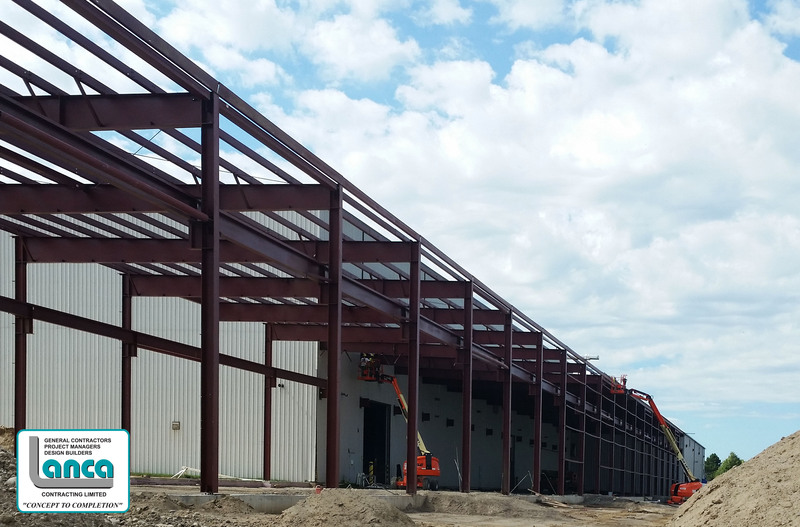 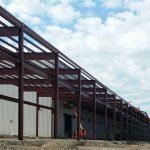 The new Pre-Engineered manufacturing building addition totaling 26,111 square feet, being built by Lanca Contracting Limited is located at the Ancaster Tradewind Business Park. 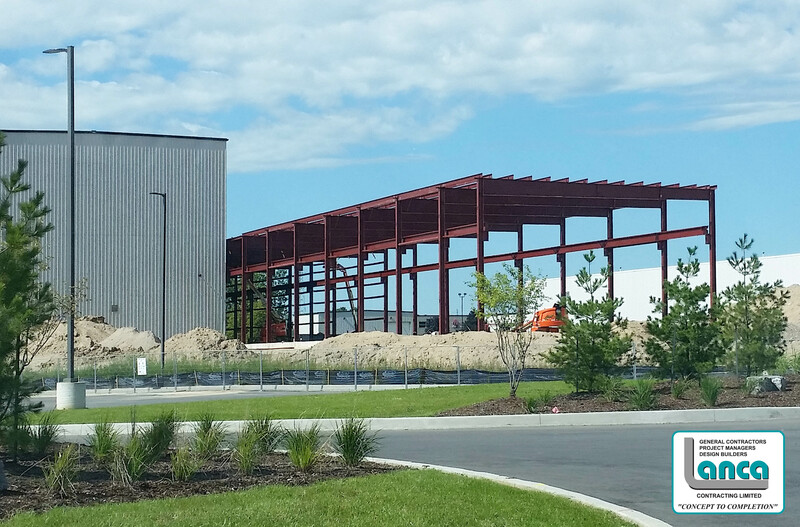 Steel erection is up and standing seam roof will be complete by mid-week, at which time the wall siding will begin. 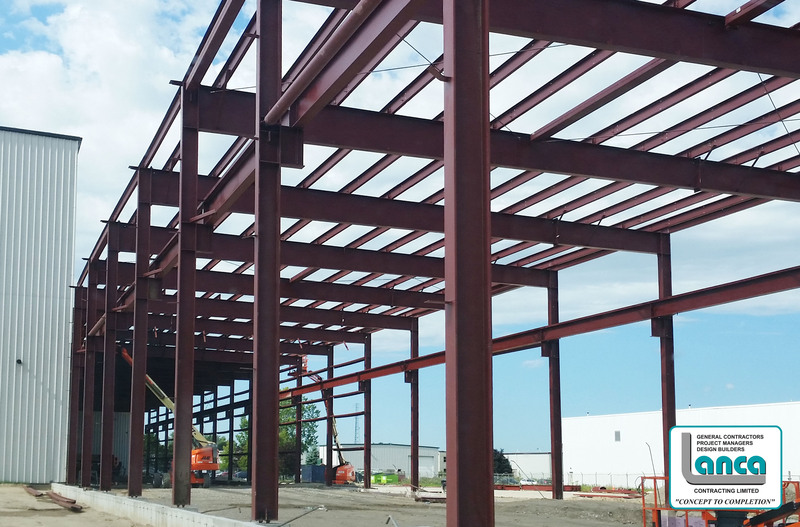 For more information on the project please visit Pre-Engineered Building Addition. 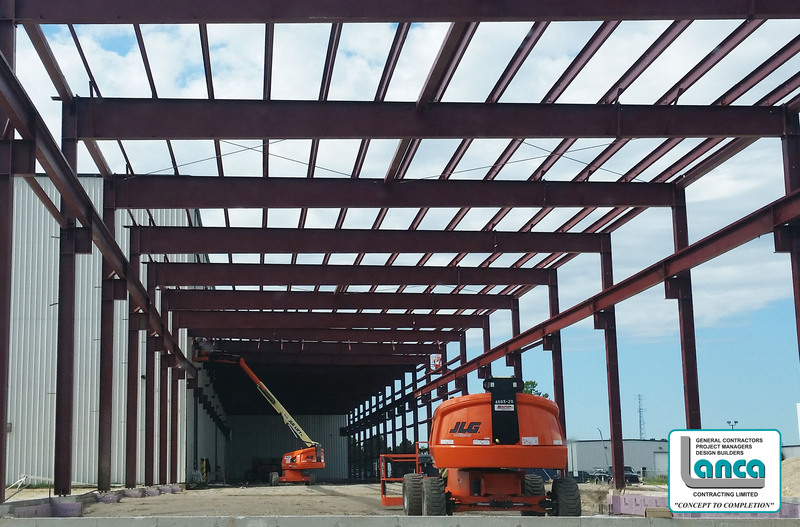 The project is on schedule and is aiming to complete by December 2016.